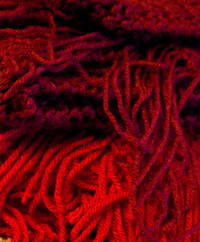 Today is September 1, and the first day that Foster Care to Success (FCS, and formerly the Orphan Foundation of America) is accepting scarves for the Red Scarf Project. 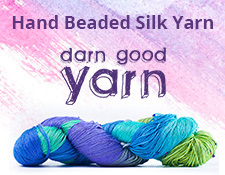 Knitters and crocheters, listen up. FCS is accepting up to five scarves from donors in the color red to hand out to foster kids in college and trade school for Valentine’s Day. At the end of the post, I will have a list of links for more information. I plan on sending three scarves this year. 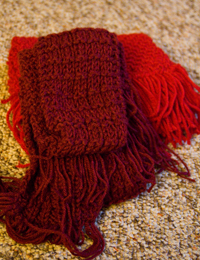 The lighter red one is knit in a double seed stitch pattern with a fringe. I used Vanna’s Choice yarn in Cranberry. The darker one is knit in Red Heart Super Saver in Claret using the Universal Scarf Pattern (any yarn….any needles. I love it!). I have another one that is a red-multi in Lion Brand’s Homespun in the Corinthian colorway, and that one is a work in progress. Again, I am using the Universal Scarf Pattern for that one, as well. Alright, guys, you have until December 15 to get your scarves to FCS. Please consider donating this year, and, even if you don’t knit or crochet, they do take monetary donations. Brighten a student’s life with a gift with a personal touch. These kids rarely have any family, and to know that someone cares means a lot to them, especially in the deep of winter.